"Urban culture is the new metaphor for collective life and the new space for exploring both identity and difference"
Through the angels' ears we hear the inner thoughts of the people, musings about their feelings, their dreams, their memories about the past and the present of the city itself. An elderly man walks in front of the graffiti-laden Wall separating Berlin; his vision transcends the historical past, as images of pre- and post-war Berlin are juxtaposed onto the present, as a living memory. It is a transspatial and transtemporal perspective, where no act is insignificant; every stone and every breath add one pigment in the mosaic of the city. The urban space is not just a background for action, it is the driving force of the story, the main point of encounter, of creation. As Wenders takes into account the presence of historical memory and everyday people, he creates a unitary vision of the physical space-urbs- the social element and citizenship -civitas- and the historical political space-polis. If we were to search for the opposite of this vision, we might need to visualise the digital picture of an urban landmark, taken during a "sightseeing tour" ride, on a tourist double decker bus: it depicts a false façade of history, created through a restoration of the monument in a specific moment in time, from a sterile point of view. As the city is stripped of the depth of time and the multiplicity of experience, it becomes another theme park. It is a cultural hegemony that reflects a rigid perception of the urban space as a deeply divided space, where the historical centre is fossilized into a tourist attraction, whereas the administrative and economic centre develops into a capital-producing machine and the people are deported into the periphery. Yet the urban space is not just a sum of housing blocks, people and monuments. It is a place of proximity and difference, of hegemonies and heterotopias. Its dimensions can be studied through an interdisciplinary approach, bringing together contemporary theory (cultural, political, urban, social) and artistic practice. As of 2010, more than half of the worldbs population lives in urban areas. Thus the city becomes another natural environment, home to urban tribes and subcultures; within the concrete forest, people can train by jumping over obstacles and climbing on blocks, explore the wilderness of abandoned spaces and appropriate it -as they would have harvested a piece of land. The urban doesn't need to be seen necessarily as the opposite of the rural; just because it is man-made it is not necessarily unnatural and dystopic. This does not mean that the Weberian perception of consumer / producer city or Marxist economic materialism fall out of the picture. Their observations, inspired by the rapid expansion of the urban centres in the 20th century and the alienation from the product of labour, can help understand the expansion of the urban grid and the subsequent evolution of social relations. Weber underpins the city as the place where the idea of citizenship is being fostered -even though he makes a distinction between the politically driven citizen of the ancient world and the economically driven citizen of the medieval and modern city. These ideas provide a first distancing from the viewing of the urban space as a mere geographical and administrative territory. Lefebvre's perception of space as a social product implies the antagonisms that shape the city, contending the right to the city -the right to express ideas, to shape the public space and to live within its centre. It is a multidimensional space, which can be studied through diverse viewpoints: from the political structures that ensure the reproduction of labour and power to the presence of social order within everyday life, where concepts such as "home", "neighbourhood" and "town" acquire their meaning. These multiple dimensions of the urban space -architectural, administrative, cultural, economic, social, political- are not necessarily united via territory. Transport and telecommunications -within the 20th century- and information technology bduring the past two decades- have created new proximities and subsequently new communities. As a consequence, the experience of citizenship has changed. On one hand there are growing political tensions, which are rooted in pre-Information age antagonisms, magnified by the precariousness linked to the informatization of labour and the growing financialisation of neoliberal economy. On the other hand, the virtual space has strengthened collective intelligence, thus multiplying the potential for education, production of culture and the raising of political awareness. To map this multidimensional space of places, people and information is to break away from the abstract representation of territory, embracing personal narratives into new cartographies. Therefore, it becomes evident that the immaterial/ hypermaterial space  created by information technologies is intrinsically linked to the urban space, via a two-way flux of ideas moving towards both directions, from one to the other. The two spaces become one, through mobile devices and augmented reality applications that introduce certain corporeality into the virtual space -as it has to be experienced through movement- and certain abstraction into the urban space -whose experience is filtered through a constant flow of information. Within this reality, the urban space becomes surprisingly malleable and the existing divisions (spatial, social) are gradually disempowered. New identities are being constructed, challenging the established hierarchies in the distribution of space, visibility and networks. This accelerates the potential of transformation even further: appropriation of spaces, repurposing of abandoned buildings, occupation/squatting, artistic actions (street art, street performance, graffiti) and interventions on the public space. Following the opposite discursive direction, one could begin with culture in order to understand the socio-political structures of the city, not simply as a reflection, but as a transformative agent of the urban space. This is the point of departure for the current issue of Interartive, dedicated to Culture and the Urban Space. Through an intersection of word and image, the emerging discourse seeks to highlight the endless metamorphoses of the city, the successions of built space with open horizons and vacant lots, the dynamic confrontation of reactionary movements to political power, the emergence of new identities. It follows the antagonisms expressed within the public space and the gentrification of the historic centres, documenting the birth of global cities, the urban sprawl and the changes in the cityscape. Like Wender's angels, the texts and artworks presented here listen to the inner voices of the people who act within the urban space, presenting the daily life within the city, the unspoken rules of social interaction, the arrival of immigrants, the conflicts within the economic crisis, the sense of community and otherness, the passage from non-places, the strategies of exclusion and surveillance. At the same time, they present the new cartographies of the social and virtual space, by highlighting the limits and obstructions within the urban territory. As most texts and art projects presented here deal with a multitude of issues, it didn't feel meaningful to maintain a hierarchical presentation, within the immaterial reality of a digital publication, which enables alternative readings and multiple connections between the artworks.For this reason, Culture and Urban Space is loosely structured in two parts, the theoretical texts and the online exhibition. This way, the particularity of the digital medium brought together two worlds that are always connected but cannot often be hosted in the same space: theoretical texts and artworks, with small presentations by the artists themselves. Therefore, the current volume stands as a digital publication and an online curatorial project at the same time. Reflecting the urban grid, where multiple interactions can take place at the same space and time, this volume encourages an open discourse among participants coming from different places, with diverse theoretical and cultural standpoints. This special issue owes a lot to the artists and theorists who have contributed to the discourse about Culture and Urban Space through original research ideas, analysed through word and/or artistic practice. For this reason, I would like to address a heartfelt thank you to every participant of this special volume. Their contributions have certainly been inspirational to the editorial team and for this reason we feel confident that they will inspire the readers as well. At this point, I would like to thank my long term collaborators, Herman Bashiron Mendolicchio, Marisa Gómez, Modesta Di Paola and Lucila Vilela for their editorial assistance in this publication. The initial inspiration for the special issue of Interartive about Culture and Urban Space came from my participation in the workshops organised by the research group Urban Encounters and Conflicts of the Department of Architecture, AUTh. I would like to thank the group for their partnership and their valuable contribution to this volume. The current issue builds on the discourse about the political and cultural transformations that take place within the urban space and opens new paths of discussion. At the same time, it becomes a virtual point -intertwined with the urban grid- where theorists and artists meet with the readers to construct an alternative social space. CHRISTINA GRAMMATIKOPOULOU holds a PhD in "Art History, Theory and Criticism" from the University of Barcelona. She is the Chief Editor of the Special Issue on Culture and the Urban Space, InterArtive #65, and the coordinator of Interartive. Der Himmel Cber Berlin (1987), Dir. Wenders, W., Road Movies Filmproduktion, Argos Films, Westdeutscher Rundfunk, film. Castells, M. (1976), "The Myth of Urban Culture", in C. Pickvance (ed) Urban Sociology: Critical Essays, London: Tavistock. Castells, M. (1978), City, Class and Power. London/ New York: MacMillan/ St. Martins Press. Jenks, C. (1993), Cultural Reproduction, London: Routledge. Jenks, C. (ed.) (2004), Urban Culture: Critical Concepts in Literary and Cultural Studies, v.1, New York: Routledge. Lefebvre, H. (1991), The production of space, Oxford: Blackwell. Lefebvre H. (1996), Writings on cities, Cambridge, MA: Blackwell. Maciocco, G. (2008), The territorial future of the city, Berlin: Springer. Souza E Silva, A. (2006), "From cyber to hybrid: mobile technologies as interfaces of hybrid spaces". Space & Culture, 9 (3), 2006, pp.261-278. Stiegler, B. (2008), Économie de l'hypermatériel et psychopouvoir, Entretiens avec Philippe Petit et Vincent Bontems, Paris: Mille et une nuits. 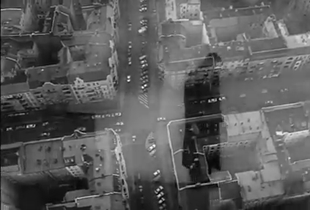 Weber, M.  (1958), "Die Stadt." Archiv für Sozialwissenschaft und Sozialpolitik 47: 621-772. Wenders, W. (1997), The Act of Seeing, Essays and Conversations, Leipzig: Faber & Faber. Jenks, C. (ed.) (2004), "General Introduction" in: Urban Culture: Critical Concepts in Literary and Cultural Studies, v.1, New York: Routledge, p.14. Henri Lefebvre (1996), Writings on cities, Cambridge, MA: Blackwell, p.34. See for example, Manuel Castells (1978), City, Class and Power. London/ New York: MacMillan/ St. Martins Press. See for example, Michel de Certeau (1984), The Practice of Everyday Life, Berkeley: University of California Press. See Bernard Stiegler (2008), Cconomie de lbhypermatériel et psychopouvoir, Entretiens avec Philippe Petit et Vincent Bontems, Paris: Mille et une nuits.